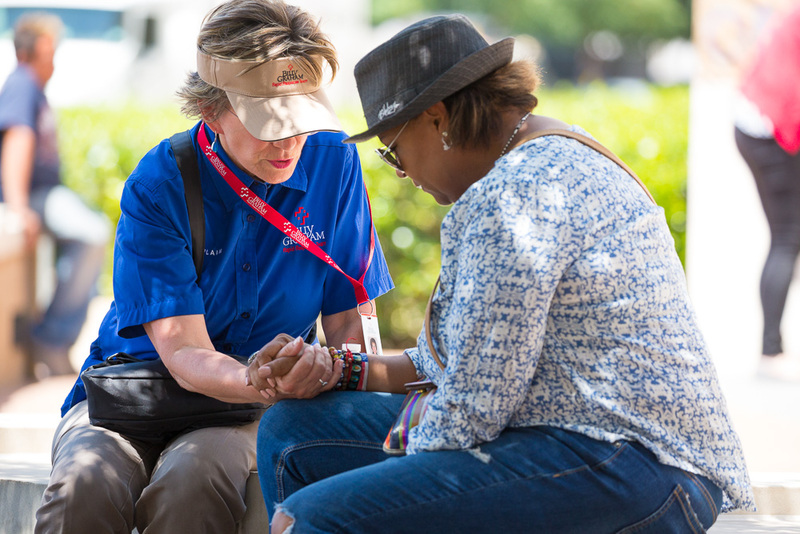 Crisis-trained chaplains with the Billy Graham Rapid Response Team have offered emotional and spiritual care to people affected by tragedy worldwide. Vivid firsthand accounts can cause secondary trauma for these chaplains, so self-care is critical. Here are five ways to protect yourself. Even if you didn’t experience the Christchurch mosque shootings firsthand, chances are you were exposed to the graphic aftermath. You likely saw footage of survivors recounting the terrifying incident. Maybe you absorbed raw images on social media. Receiving firsthand accounts of another’s traumatic experience can leave a lasting impression. That’s called secondary trauma, and it can be damaging if left unchecked. Secondary trauma is real—whether acquired by hearing a firsthand account in person or via social media—and shouldn’t be dismissed. Munday said chaplains are susceptible to this type of trauma when listening to emotionally raw people share their stories. Take Newtown, Connecticut, for example, site of the Sandy Hook Elementary School shooting in 2012. Chaplains responded to the scene so quickly that they were able to minister to officers who still had blood on their uniforms. Hearing their vivid stories was tough. “That can give you a visual impression that’s hard to get rid of,” Munday said. Social media, which offers the ability to post raw images in the moment, can blindside users and become a catalyst for secondary trauma. Scrolling through your feed to find a graphic video can be jarring in the least. Facebook, Twitter and Instagram let users turn off the platform’s autoplay feature. This means you get to choose what videos you watch. As a result of these types of interactions, Munday urges his chaplains—and anybody experiencing secondary trauma for that matter—to reach out. They need to talk with a trusted person, ask for prayer and study the Bible routinely. Grieve with God by your side. Have you ever heard the expression “Good grief”? Munday asks this question during Sharing Hope in Crisis training, and he points out it’s more than a common saying. It’s key to the healing process. “There is good grief if we can grieve God’s way, and that’s through His Word, through prayer and the counsel of godly people,” he said. One of the biggest dangers is distancing yourself from people and choosing not to share your feelings with them. Debriefing is a required component of chaplaincy, and because the chaplains come from a nationwide network, Munday said he also strongly encourages them to have someone local they can confide in. Good training is a prerequisite for anybody interested in chaplaincy, but it’s also not a bad idea for navigating this crazy world. Sharing Hope in Crisis, a training created and conducted by the Rapid Response Team, offers real-life application for people by explaining things like what to say and what not to say when others are experiencing trauma. These training sessions are available in a classroom setting and online. Whether you’re ministering to family, friends and coworkers, or pursuing a role as a chaplain, the training can help empower you to make a lasting difference in this world. Peace is possible in an upside-down world. Learn more about God’s love for you. Previous Post Our Miracle. (A lesson learnt). By Timothy Baugh. April 10, 2019.